These are pictures of Domino taken in June of 2012. 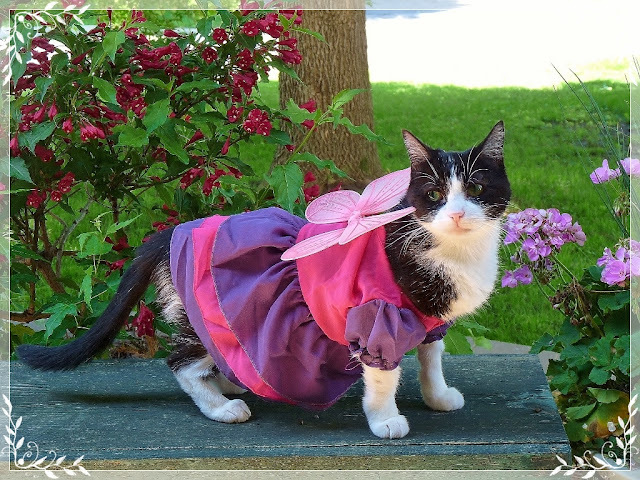 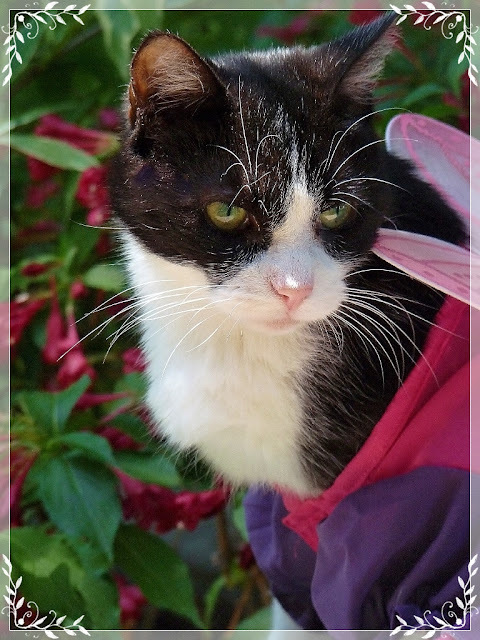 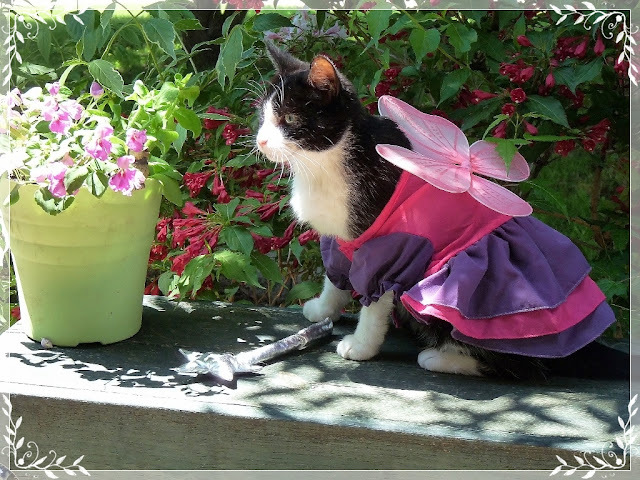 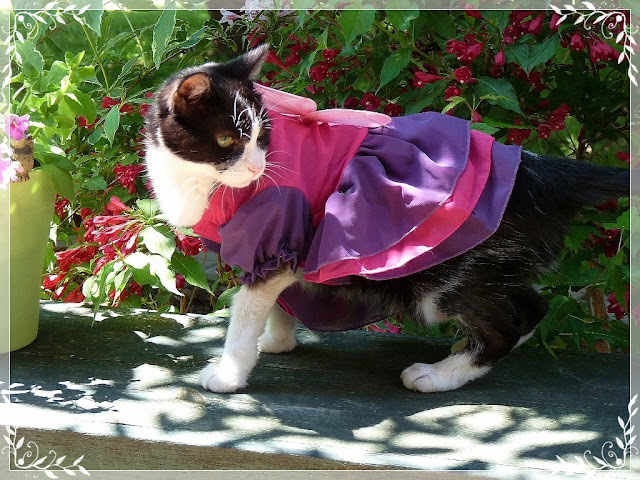 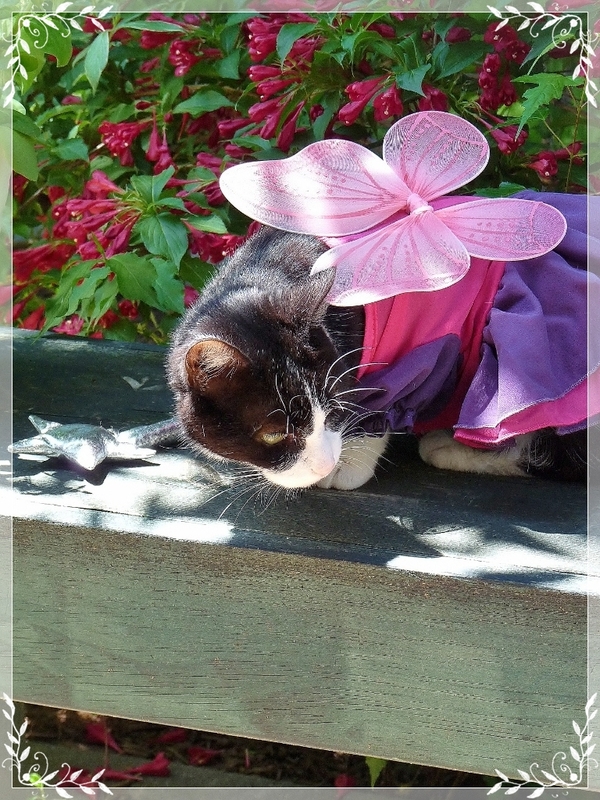 It's how I like to imagine her on the Rainbow Bridge -- forever in a beautiful gown with wings in a PURR-PET-ual summer garden. 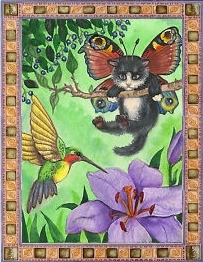 On wings and a prayer, forever more. 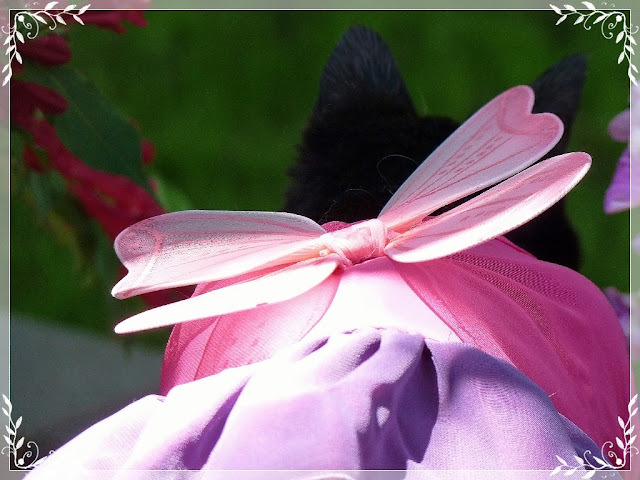 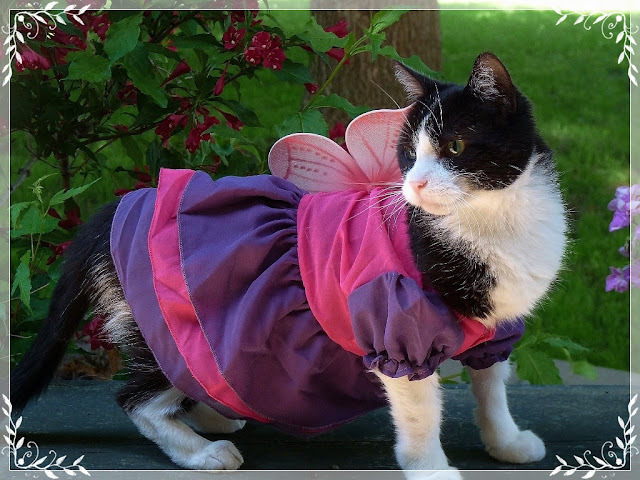 Lovely photos of your girl - what a cool butterfly dress! So beautiful. 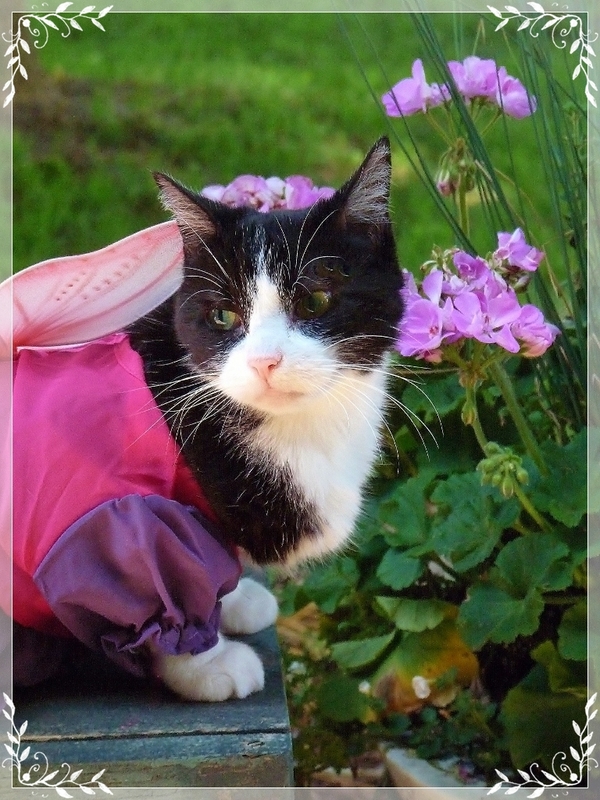 Brought tears to my eyes.